An ageing academic, struggling with the onset of Motor Neurone Disease (ALS) and a favourite student of sixteen years ago are the only characters in Mitch Albom’s play, Tuesdays With Morrie, at Smock Alley Theatre. Plot is secondary to character. Indeed the piece depends entirely on the interplay between the two. The title refers to the Tuesday sessions where Mitch was the sole student in Morrie Swartz’s sociology tutorial. Later the Tuesday afternoon meetings resume in a very different context. Several important themes are touched on. What are the things that matter in life? How do you know when you are living your ‘real’ life? The importance of learning to “accept who you are and revel in it”. How much does – or should – money count in our lives? However, while these and other themes are touched on, they are not explored or pursued at any depth. Instead, we have philosophical observations such as “once you learn how to die, you learn how to live”, statements that can seem bland rather than profound. Central to the success of the play is the credibility of the relationship between two men, a graduate student and his former college tutor, who is more like a “guide, philosopher and friend”. Eoin O’Sullivan’s Mitch is totally believable as the former student basketballer, now a sports journalist, an ambitious go-getter in the media world but still connected to deeper values and aware of his failings. It is a finely detailed performance, unfailingly hitting the right emotional notes. 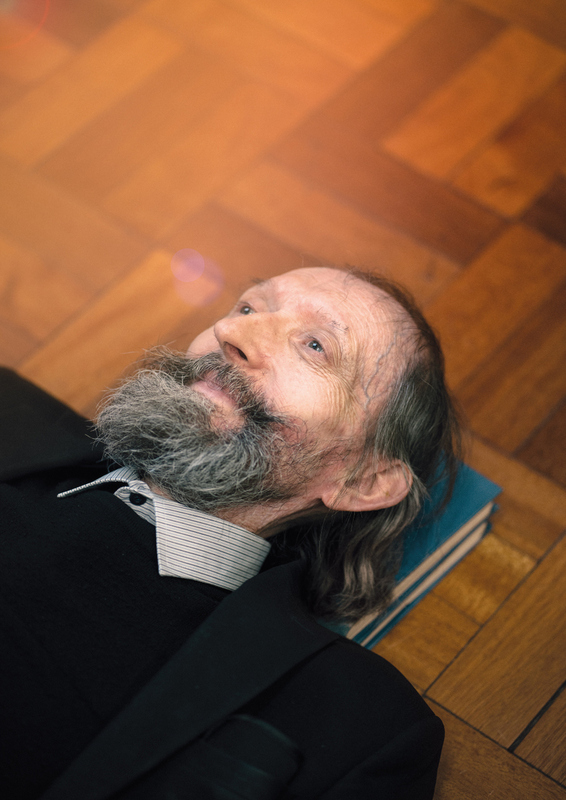 While Seamus Whelan conveys Morrie’s gentleness, eccentricity and physical fragility, we don’t see the engaging personality, his charisma or whatever else made him such a central figure in the lives of his students. The American accent is a problem. Timing is also an issue. It is as if in communicating old age and illness, the character has gone flat. Andrew de Buitleir’s evocative sound design and Eoin Lennon’s lighting contribute greatly to the creation of atmosphere. Conor Lucey directs. The play continues at 8 pm nightly until December 1st.